The trend of Flexible Pricing is shifting from airlines and hotels to further industries, including attractions, ski resorts, and sports. If you are responsible for commercial ticket sales in one of those industries, you probably have already thought about developing your pricing strategy before. • We would like to do flexible pricing, but what will the shareholders/employees/customers say? • How do I know which pricing strategy will really work for us? • How do we communicate the new prices to all stakeholders? Sounds familiar? After all, the set up of flexible pricing can be a real headache. Furthermore, you also need to get all the stakeholders on board. To learn how to update your pricing the right way and avoid mistakes that might weaken the success, it is important to learn from the companies that have done it all before. Plan your new pricing strategy while having the challenges and solutions of first-movers in your mind. 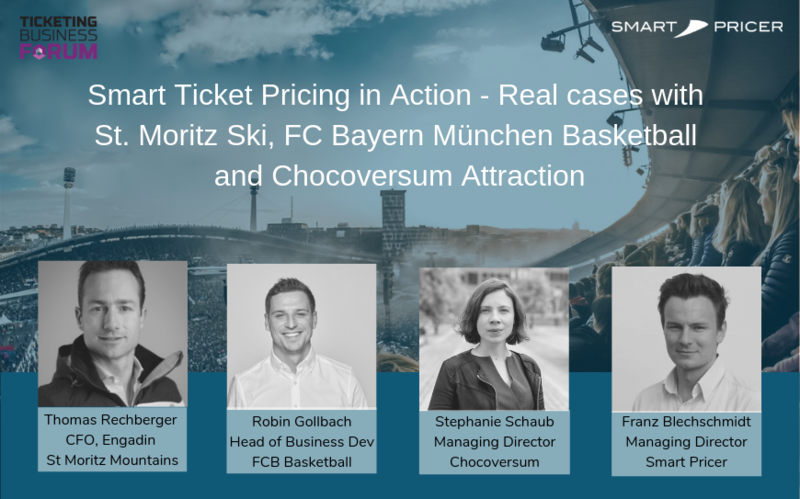 Join us at TheTicketingBusiness Forum in Manchester at 14:30 on April 9 for an exclusive session covering real-world implementations of smart pricing. Click here to see the program of the forum.